Our practice opened in 1957 as Michigan Road Animal Hospital. In 2008 we built an additional hospital just north of our location to help accommodate our growth. We call that office Michigan Road Animal Hospital @ 96th Street. We've decided to "tweek" our name to Michigan Road Animal Hospital @ Crooked Creek to make things a little easier for everyone. If you live a bit north of our two hospitals, we encourage you to contact Zionsville Animal Hospital. All of our locations are here to serve you and your pets! We are a dedicated group of professionals working together to provide excellent service and care to our clients and patients. We treat pets like family and it’s not just our slogan–we mean it! We are an honest, hardworking group of animal lovers, dedicated to serving your pets’ needs. Our lasting success is due to our state-of-the-art equipment, our commitment to education, our wide variety of services, and because of our great clients. Michigan Road Animal Hospital is very proud of our recent recognition by Expertise.com as one of the top animal hospitals in Indianapolis. Out of the 267 veterinarians in the city who were reviewed, we were chosen as one of the best! Feel free to click the image above to learn more. "We Treat Pets Like Family"
Michigan Road Animal Hospital @ Crooked Creek is an AAHA (American Animal Hospital Association) certified member animal hospital providing quality professional health care focusing on proactive and cost effective medicine for our patients and clients. Excellent quality care is carried out in a professional and caring manner by all staff. MRAH @ Crooked Creek has been an accredited member of AAHA since 1966. As an AAHA member, our our facility, equipment, and practice are inspected every four years to retain this prestigious accreditation. Click here to learn more about the huge 50 year milestone we reached with AAHA and the award we received! 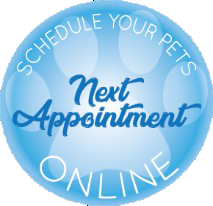 We hope to meet and exceed your expectations as your pet's veterinarian. Please don't hesitate to contact us today!